Melbourne's Test halfback Will Genia feels Quade Cooper is the missing ingredient the Rebels need to crack a Super Rugby finals spot. Speedy gelding Mr Marbellouz returns to his favourite track, Doomben, in the Listed Ascot Handicap. Will Genia says the addition of veteran playmaker Quade Cooper is the missing link the Melbourne Rebels need to break through for a maiden Super Rugby finals berth. Genia and Cooper have renewed the halves partnership that led Queensland to a title in 2011 and, before their round one clash against the Brumbies in Canberra on Friday night, the Rebels are hoping for similar success. "It makes a difference when you've got someone who's a natural 10 and who plays that position and understands his role," Genia said on Monday. "His biggest strength is his organisation and that's something we probably lacked a bit last year. "He tells guys where they need to be, how he wants them to shape up, so I think he will make a huge difference to our team. "I think so (the missing link) because that was probably the one position we didn't have depth or a traditional player in that position." With such a rich history, Genia says resuming his alliance with Cooper has been easy and comfortable and he feels they can recreate some 2011 and Wallabies magic. But it won't purely be the Genia-Cooper show. "We know each other's game so well but it's more a case of trying to fit into the structure of how we want to play as a team," Genia said. "We've got a pretty specific game plan heading into the Brumbies game of how we want to play so it'just concentrating on doing out jobs within that system." The Test halfback hasn't had a hit-out this pre-season but says he feels in great shape coming off the Wallabies' spring tour and is expecting plenty of game time in Canberra. 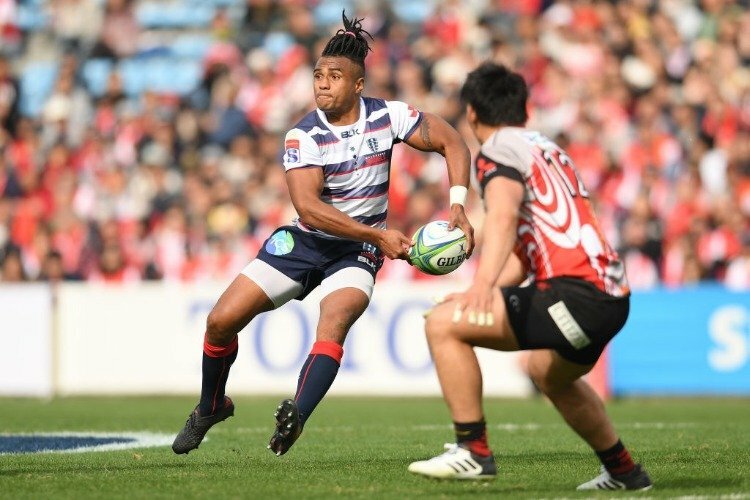 Disappointed at missing the Super Rugby finals, Genia said Melbourne were eager to get off to a strong start. "It was pretty disappointing to only just miss out and that stung the club, so it's a big goal so hopefully we can build on that and make history, he said. Bernard Foley is a big admirer of his NSW Waratahs captain Michael Hooper but they got off on the wrong note when they first clashed in open rugby. The NSW Waratahs will look to turn the distraction of an Israel Folau generated controversy into a positive for the second time in 12 months. The Brumbies have an impressive recent record touring South Africa and Argentina which they'll look to continue against the Stormers on Saturday. A conflicted Bernard Foley says controversial Wallabies superstar Israel Folau is not a bad guy but is hurting his NSW Waratahs team.